Frisco Chrysler Jeep Dodge Ram made a very generous donation to the 2nd Annual Frisco Police & Fire Toy Drive on December 8. General Manager Shawn Swenson and his employees funded a shopping spree at the Toys R Us on Preston Rd. in Frisco. All toys benefited the Frisco Family Services Holiday Store, where families can shop for the holidays just like they would at any other store. 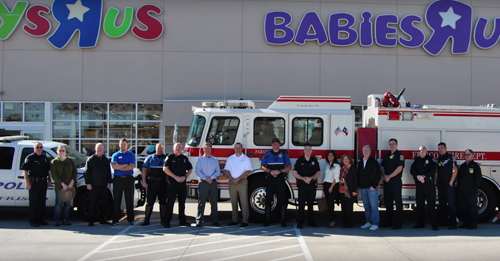 Thank you so much to Frisco Chrysler Jeep Dodge Ram and Frisco Police and Fire Departments.